QuickBooks is a great software product when your business relies primarily on accounting functionality. It is well known, simple, and affordable. In fact, many businesses continue to use it and push the limits of what it is meant for prior to ever considering making the change to a real ERP system. Eventually, the pressure on the business is too great. When a company could be one large order away from disaster, it has officially outgrown QuickBooks. Why do companies wait so long before replacing QuickBooks with an ERP System? The heard about an ERP implementation horror from a friend or colleague. They assume the cost associated with buying and implementing an ERP system is too high. The disruption to the business during the implementation will be too great. Not sure how to even approach a project of this scope or what to look for. The "consultants" they've spoken with in the past try to "sell" them on features instead of providing a valued service. Knowing the above, it's no surprise how many growing businesses stall out on QuickBooks. A growing company moves so fast that one misstep could make a big impact. As an experienced ERP software provider for 30 years, it has been a fairly common theme. The "fear" of changing outweighs the shortcomings of the current system.  So why do companies choose to upgrade to a fully integrated ERP system? They can't continue running the business inside spreadsheets. Too many errors and headaches occur moving between workbooks to manage the business. Pricing strategies needed for vendors and customers have become to complex for QuickBooks to handle. Product cycle time is waning because of disconnected processes and multiple system applications. Lack of inventory management is affecting fulfillment and delivery schedules. The sales team is making promises the back office can't meet and the workflow breakdowns are abundant. QuickBooks is great until you get too big. That "aha" moment when you know you've outgrown QuickBooks and it's time to seek out ERP software shouldn't be filled with dread. Your company is growing and ready for a system that can continue that trajectory without the scary surprises. When you've reached the breaking point and need to lead the company towards a strategic shift we can help. Contact us today.